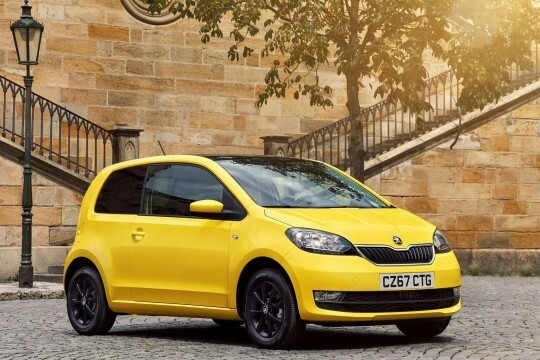 Car reviews tend to use real estate speak: ‘compact’ for small, ‘value based’ for cheap, ‘surprisingly spacious’ for less than cramped… but let’s call the Skoda Citigo what it is: a small, inexpensive, economic city car that will put a smile on your face! Following its recent facelift, the Citigo remain one of the best driving city cars out there. The two 1.0-litre petrol engines may not be particularly powerful, but they deliver the goods and are tremendously frugal. 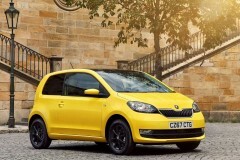 The Citigo turns on a dime and also turns a few heads with its impish, cute looks. CO2 emissions start at only 96g/km and with its people friendly 3-cylinder engines you can feel proud that you are doing your bit to reduce harmful emissions in your city. There are four versions in the Citigo gang, two three-door versions (Citigo and Monte Carlo) and two 5 doors, also called Citigo and Montecarlo with the Montecarlo version getting plenty of extras as standard. You can feel safe in the knowledge that every model in the Skoda range has received a 5-star NCAP safety rating, cheap does not have to mean unsafe! So Skoda offers drivers a practical, inexpensive to buy and run, has good interior quality and is inexpensive…what more do you want from a city car? At Hippo we are here to help you. Contact our friendly account manager on 01254 956 666 or email info@hippoleasing.co.uk for impartial advice. We deliver nationwide and have finance, new, nearly new and used vehicles to fit your needs.